The Chipotle kid’s meal can be ordered by any random adult. You don’t even have to act childish to ask for one. I found this out recently when my daughter wanted to go to Chipotle and I wasn’t that hungry. They told me that I could order the kid’s meal and I loved the price of $4.75. I do find Chipotle to be a bit pricey. As you know, I am a big Chipotle fan when it comes to fast food. I have made a copycat Chipotle black beans recipe and recreated the Chipotle corn salsa. Turns out the kid's meal is a DEAL. You get a “make your own taco” box that includes 2 tortillas (corn or flour) and three toppings (one meat). It also includes a drink AND chips or fruit. Do you see the fruit that they included? Blueberries. No, I am not making this up. I happen to love fresh blueberries so I was thrilled. The drink can either be a kid’s sized soda (boo), organic apple juice, or milk. I drank water because I didn’t want any of these choices. 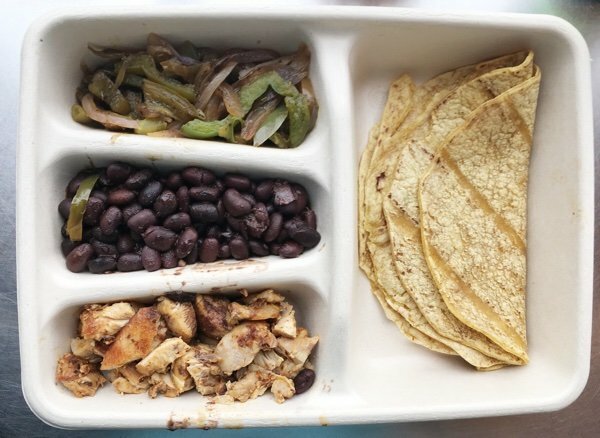 I asked for grilled chicken, black beans, and grilled veggies. I have a “no rice” rule for my burritos because I think that it is silly to get rice when you are already eating tortillas. I got two salsas on the side and this was way more food than I wanted but I couldn’t believe what a great choice this is for fast food. Look at all those vegetables and fruits! Take that double bacon cheeseburger! Another thing to love about Chipotle is that they have an online nutrition calculator. Where does this meal fall down? SODIUM! Please, Chipotle, cut the salt in your food. It doesn’t need all of that! To recap, I saved money (this cost about 3 dollars less than what I usually order) and calories (also about 300 calories less than my regular) and I was satisfied. I loved it. 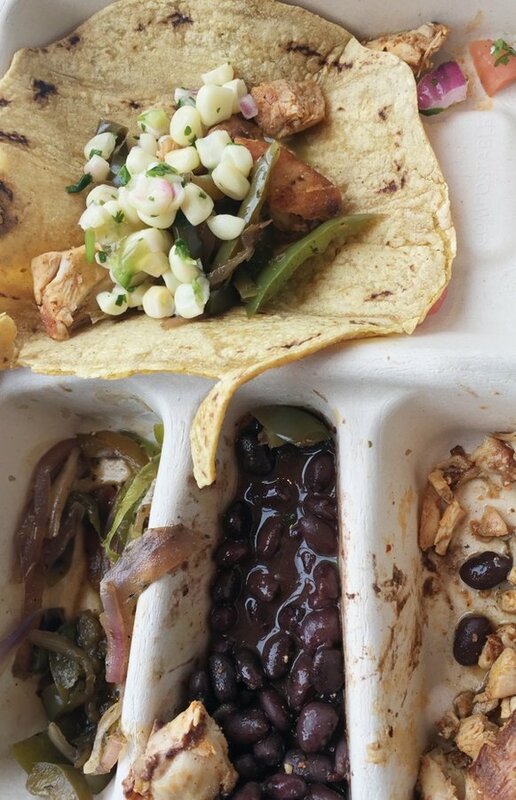 Have you tried the kid’s meal at Chipotle? 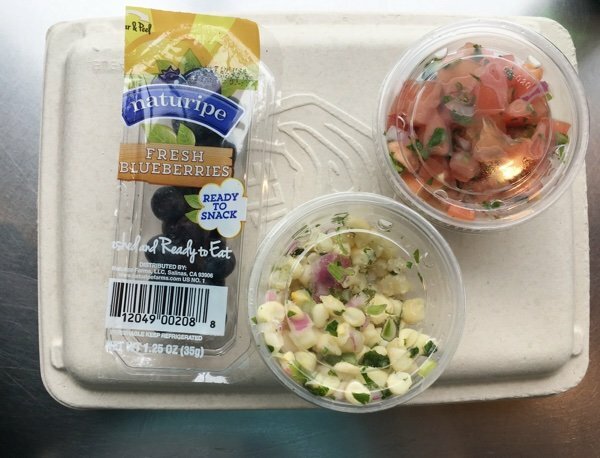 What other kid’s meals would you recommend? I too think most all restaurants are over the top in the salt department! I love soup in the winter but I cannot eat it out as I am that sensitive to sodium. I suspect that the salty black beans and the chicken seasonings are the culprit here at Chipotle. You had me until sodium. That's too high. Shame, I thought it would be a good option. Thanks for sharing. I guess you could make it vegetarian if they allow another side to replace meat. I cannot understand the sodium in all restaurant menus. It is unreal! Thanks for the tip. 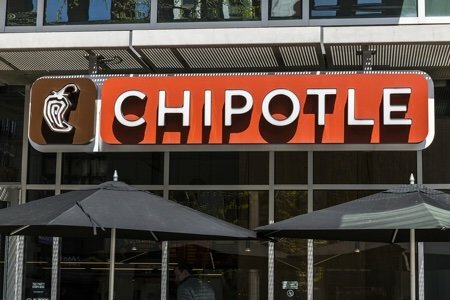 I just can't eat at Chipotles any more with all of the health issues and all the people getting sick from eating there. Last one in W. Virg. Gov. Is investigating. I have been eating the kids meals at Chipotles for awhile. I get the flour tortillas, pinto beans, veggies and guacamole. I also get the chips since the portion is perfect! I did not know they had kids meals. I like their food but rarely go there because of the calories. This seems like a good option, I will try it next time I go! Yes!!! We love their kid meals! You don't have to get meat. I've done double veggies, lettuce and guacamole. ;-) They're pretty flexible. I love it! News to me. Good news! Thanks, Lisa! @Connie, I'm steering clear of Chipotle too, too much risk, for what? a fast meal? There are a lot of risks every day but my intuition tells me to be wary of big business, especially the food industry. I love tacos, the leftover grilled veggies, add to that some simply seasoned beans, salsa, lime juice, etc. Home-made tacos or quesadillas rule! I keep a bag of shredded cheddar on my freezer door for easy access, it's really pretty 'fast' food! Are the points current for the new WW freestyle program?